For years, I struggled with getting ribbon, mesh and even burlap to look good on my Christmas tree. However, last year discovered a Christmas tree hack to make your tree look like it was done by a professional. 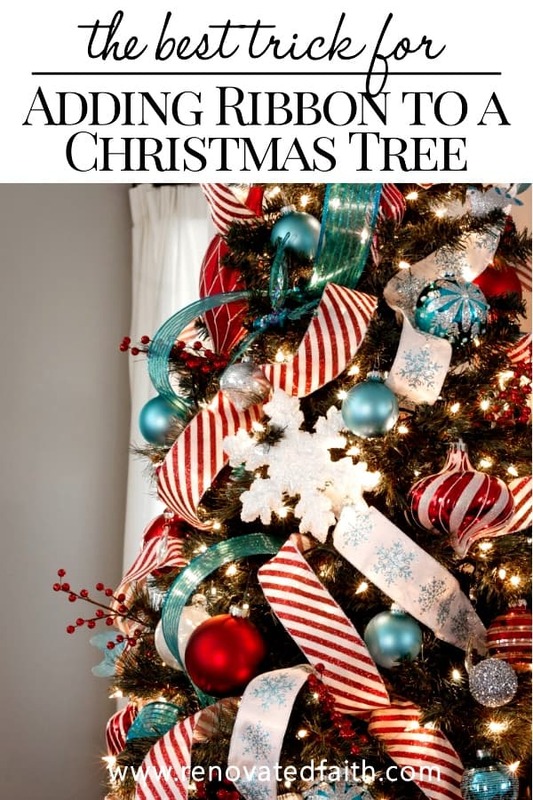 This step by step tutorial shows you how to add ribbon to a Christmas tree with an optional Christmas tree ribbon topper. I have probably spent hours of my lifetime figuring out how to wrap ribbon around a tree so that it looks like the images of those designer trees on Pinterest. I never got the hang of it until I found one trick that made it SO much easier. I also learned how to make a Christmas tree ribbon topper as part of my tree decor. 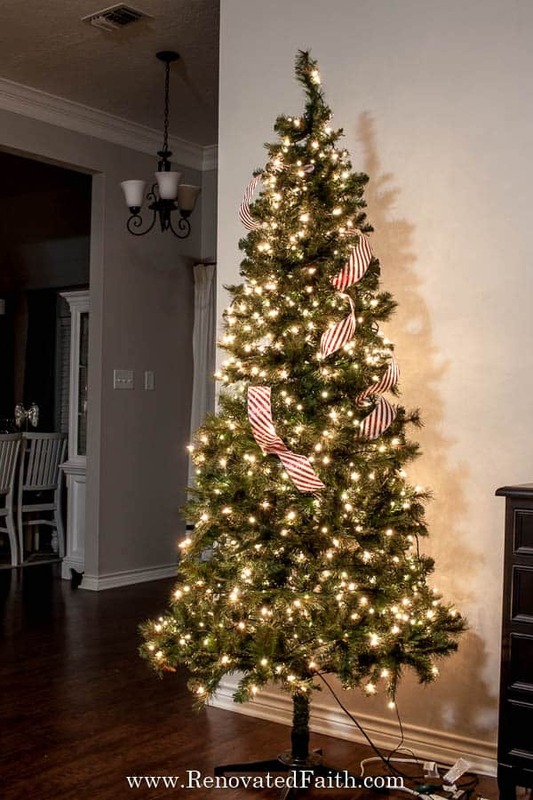 How Wide Should Christmas Tree Ribbon Be? Use ribbon that is at least 2 inches wide and up to 4 inches wide. This year I used three types of 2.5″ ribbon for my 7.5 inch tree. Mesh or burlap can be much wider because in most cases you will double it over or “scrunch” it some. 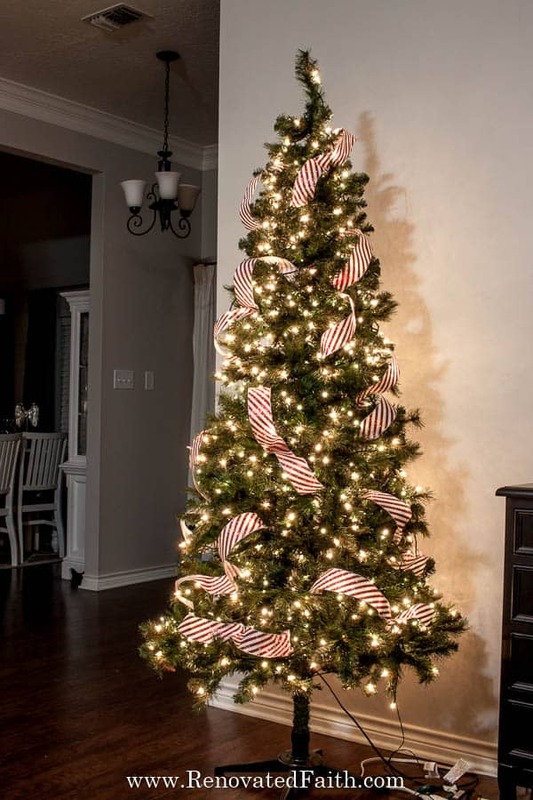 When Do You Add Ribbon to a Christmas Tree? Do You Add Garland Before or After Ornaments? I like to add ribbon to the tree after adding the lights and before adding ornaments. However, there is an extra step I take to make the tree look MUCH FULLER which you can read about here. 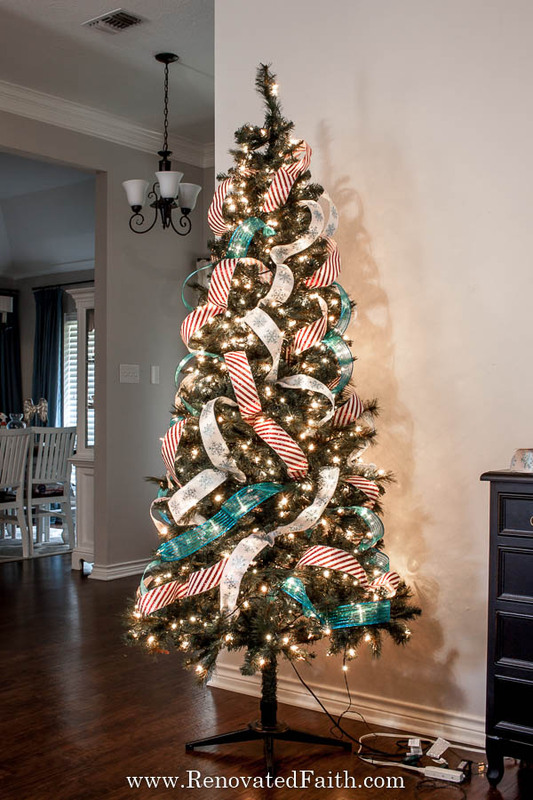 Be sure to use wired ribbon for your tree. The wired edge allows the ribbon to be bent easily and tucked into the tree without readjusting later. 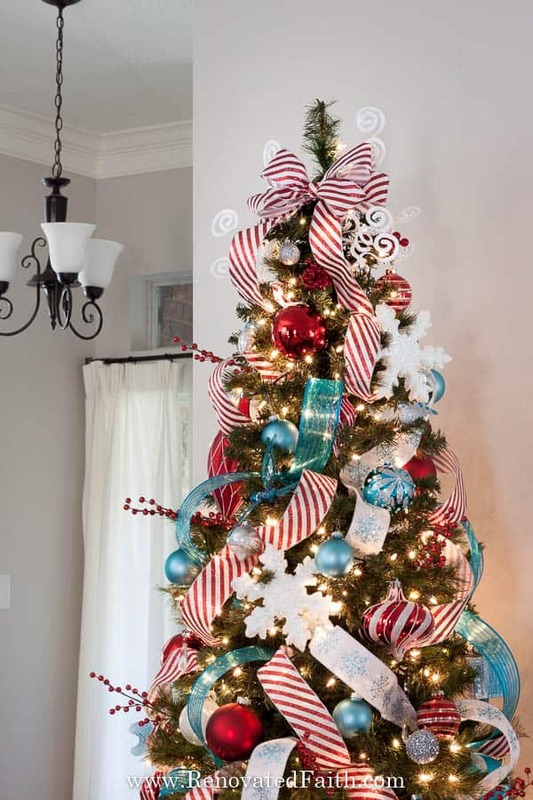 Christmas Tree Ribbon Ideas – Click HERE for my favorite source of wired ribbon. 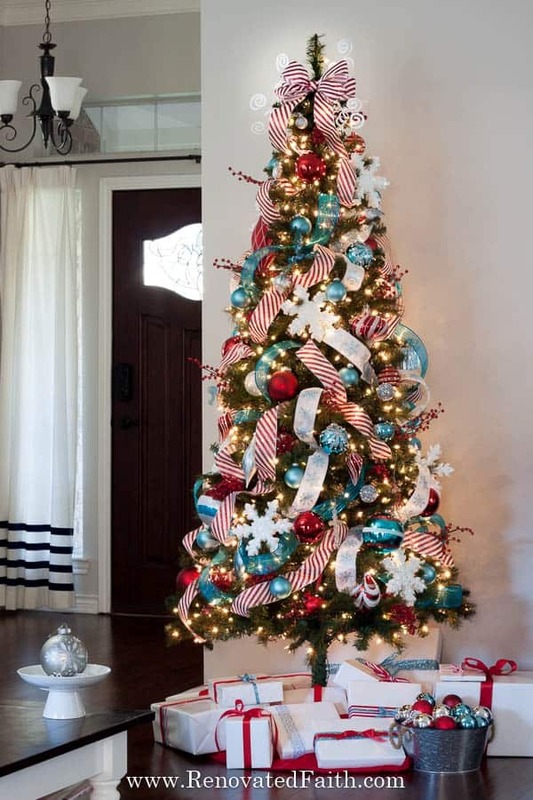 When adding ribbon on a Christmas tree, tutorials often tell you to use one long piece of ribbon that weaves in and out of the tree. Others might instruct you to use a few longer strips. The absolute BEST tip I can give you when adding ribbon to a Christmas tree is to avoid working with one long piece of ribbon. Long pieces are difficult to work with and in trying to fix one section of ribbon, you can easily pull another section too tight. So, you know that beautiful wired ribbon you just bought for your tree? Yeah, we’re going to cut it up in lots of smaller pieces. But don’t worry, it’s going to be worth it and oh so pretty! Also, I save my cut pieces of ribbon by re-rolling them on the spool from year to year. For my 7.5 foot tree, one three-foot strip is going to equal two swoops or waves. You’ll start with the end of the piece of ribbon and just tuck it into the tree. Come down at an angle and tuck the middle into the tree. Now come out again for your second swoop and then tuck the end back into the tree. 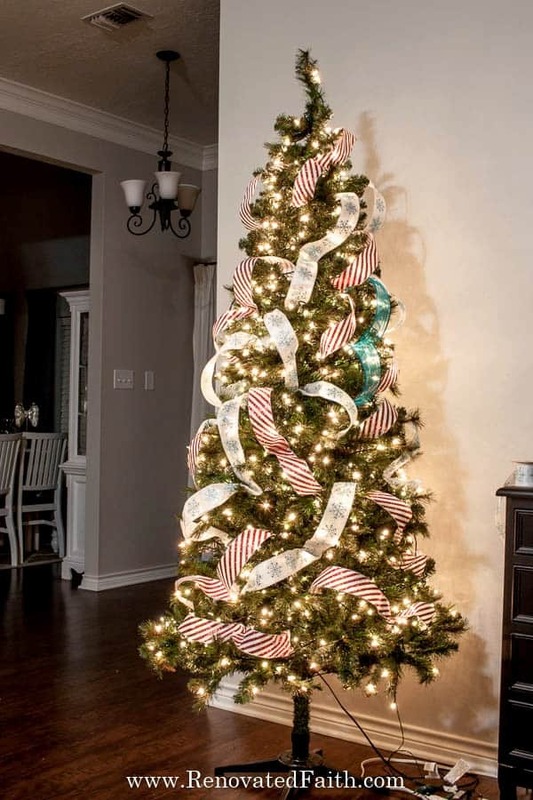 You want the ribbon “swoops” to be loose, never pulling tight against the branches. I like to imagine those little birds from Snow White decorating the tree by flying in and out the branches with one long piece of ribbon. Okay, maybe I’m the only person that visualizes that. But regardless, you want to similate the look of one very long pieces of ribbon winding in and out of the tree. That is super easy to accomplish with this method! Also, it helps to have your ribbon coming down the tree in an angle. It doesn’t matter if it’s coming down to the left or right but you don’t want it completely horizontal or straight vertical. Here is video I made to help explain this super simple process. Go through the tree doing the same with each strip until you have some even distribution of that ribbon color through the tree like this. Now, go through the tree with a second color of ribbon as I did with the white snow-flake ribbon here. As you are adding the ribbon, this is not the point that you want to be a perfectionist. We will have an opportunity to get more detailed later. For now, just get it on the tree! Here is my third and final layer of turquoise ribbon. Now, take a step back and touch up your ribbon by pulling out any loops that are too tight or even making your bow look like it is connected to the ribbon in the tree. 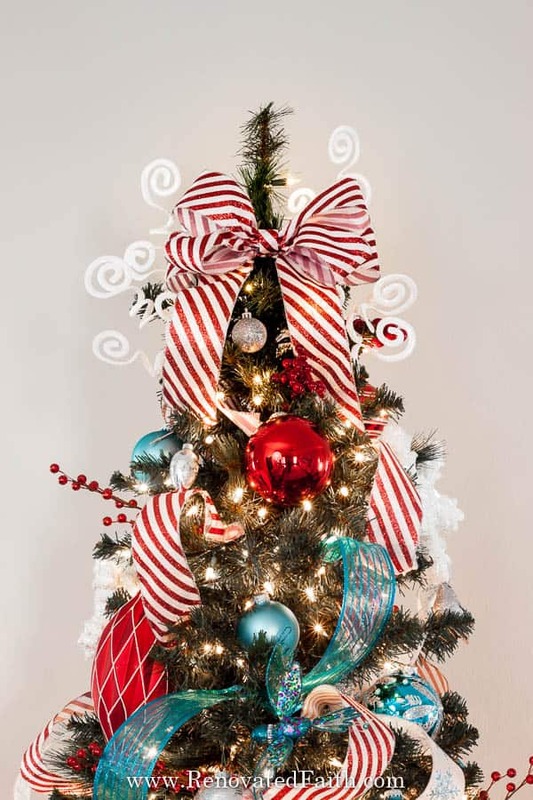 Of all the bow toppers for Christmas trees, I like the ones that that look like they are connected to the ribbon already in the tree. For this bow, I used my super simple trick to make bows the easy way as I did here. As I marveled at the finished tree, I couldn’t help but notice how the ribbon seemed to weave in and out in one intricate pathway that I couldn’t clearly comprehend. Each loop seemed to twist and turn unpredictably through the branches, only to disappear and then peer out again in some other part of the tree. Something about this was so familiar. I loved the perceived intricacy of the ribbon, and although I didn’t weave the ribbon in one long strand through the tree, I loved the consistency and fluidity. For this tree was some of my own handiwork and it brought me great satisfaction and joy. He intricately weaves the events of our lives together as an ornate masterpiece. We are His creation and our lives are delicately woven within the rhythms of His will. Life often feels perilous, snaking in directions that seem haphazard or unfamiliar. But He knows the purpose of every turn, twist and curve. Along the way, He is there to give us support, strength and constant assurance like the eternal branches of a strong evergreen. As we follow the path of His will, we can rest in knowing that there is always an inherent continuity of His will and provision. He has created you with an intricate purpose. 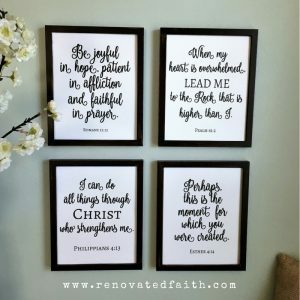 May our lives shine brightly with the radiance of Him, proclaiming His handiwork in our lives. 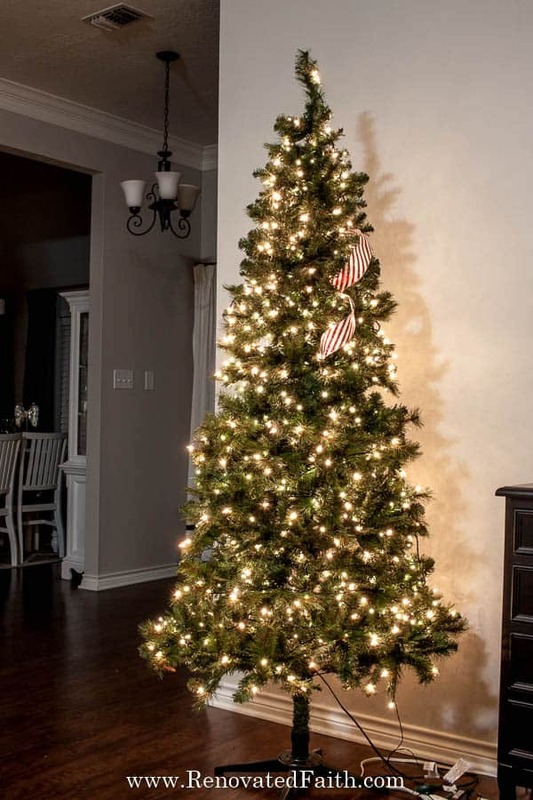 Want More Christmas Tree Tricks & Hacks? 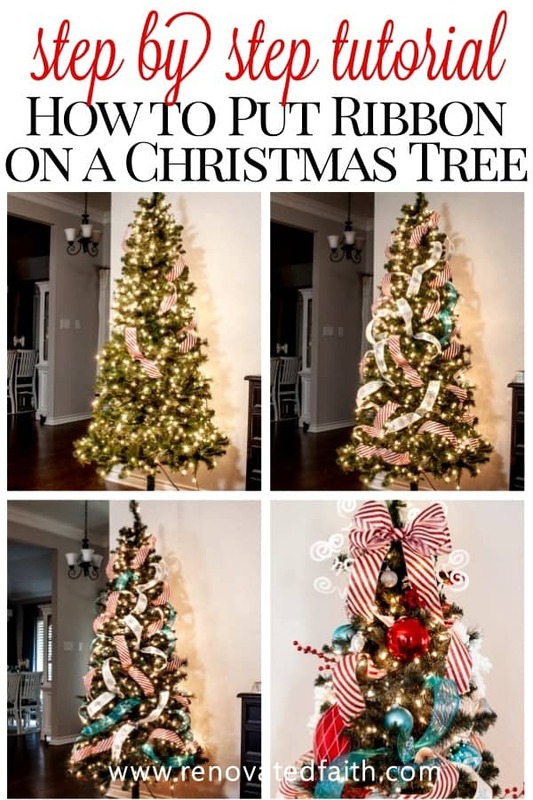 Be sure to check out my post here on how to decorate a tree! It’s a step by step tutorial with lots of tips and tricks on how to arrange the lights, how to make the tree look fuller and even how to pick your color scheme. Also, be sure to click here to see the rest of my aqua and red Christmas decorations.